I-74 to Brookville exit to right on Harrison/Brookville Road to left on Johnson Fork Road to home on left about 6 miles. Signs On. The Home Country Beckons! 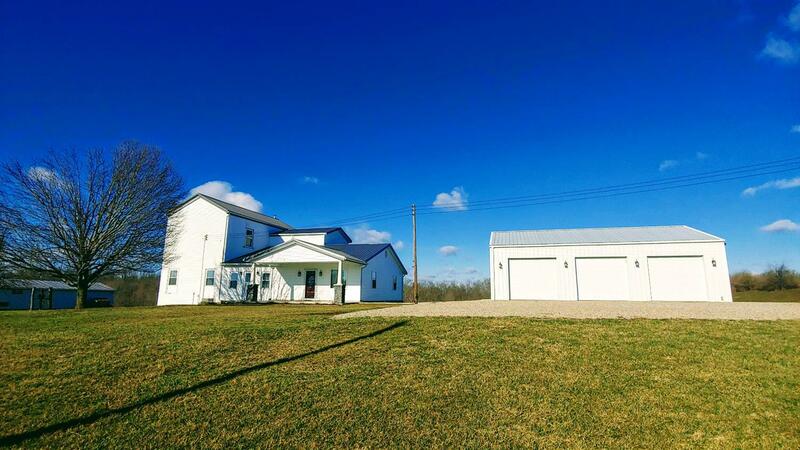 Remodeled farmhouse w/ pos 4th BR on 5 AC STS! Huge liv rm & kit, many updates like flr & lighting,fantastic location only minutes to Brookville exit off of I-74, 3 Car Det Gar. (30x40) w/concrete flr & elec, Cattle Barn (40x46), Chicken coop-(20x50) 2 levels, New Septic system, Metal Roof 3 years old, 1 YR HW & more!